Grey College 348-9 (Raynard van Tonder 169, Christopher Schreuder 49, Philip Visser 33; Nathan Wesson 3-63). Michaelhouse 170-9 (Sean Gilson 47, Matthew Armstrong 30; Visser 3-33). Match drawn, rain. DHS 182 (Sheroze Khan 60, Tinashe Nenhunzi 45; Willie Wannenburg 4-35). KES 183-5 (Mitchell van Buuren 51). KES won by 5 wickets. Maritzburg College 191 (Jiveshan Pillay 56, Damien Walden 45; Ruben Trumpelmann 4-26). Affies 193-2 (Ruan van Tonder 80, Hermann Rolfes 74 not out). Affies won by 8 wickets. St Johns 173-7 (Fayadh Haffejee 45*, Nicholas Halstead-Cleak 36). Hilton 177-5 (Gavin Morris 77, Eathan Bosch 41). Hilton won by 5 wickets. Northwood 119 (Craig Meier 4-23). St Stithians 121/2 (Joshua Richards 70 not out). St Stithians won by 8 wickets. Clifton 187 (Ryan Slotow 53, Simon Holmes 39, Luke Shave 38; Robert Quarmby 3-32). St Andrews Grahamstown 98 (Zakariya Paruk 5-11, Cayden Porter 3-29). Clifton won by 89 runs. PBHS 255-6 (Chris Britz 105 not out). Westlake 141 (Ryan Scheirhout 45). PBHS won by 114 runs. Glenwood 197-8 (Jordan Grobbelaar 70). Jeppe 108-7 (Daelen Fynn 3-13). Match drawn, bad light. Westville 188 (Matthew Pollard 66) CSA TAP Invitational XI 120-6. Match drawn, bad light. Kearsney 181 (Patrick McGrath 52, James Stamatis 35; Akhona Mnyaka 4-30, Luke Dallas 3-42). Hudson Park 163 (Dallas 39; Matthew Lees 5-33, Steven Conway 3-20). Kearsney won by 18 runs. Kearsney 116 (Jordan Graven 31; Wiaan Mulder 5-21). St Stithians 117-2 (Matt Erasmus 47*, Josh Richards 36). St Stithians won by 8 wickets. Glenwood 184-7 (Jordan Grobbelaar 65, Daelen Fynn 32, Jared Paul 38). Grey College 178 (Tristyn Dudas 3-29, Turlock Davies 2-44). Glenwood won by 6 runs. Hudson Park 248-5 (Jason Niemand 111, Sine Qeshile 65 not out; Zakariya Paruk 2-31). Clifton 250/8 (Matt Montgomery 43, Ryan Slotow 107, Paruk 48 not out; Axola Ngwana 2-50, Akhona Mnyaka 5-40). Clifton won by 2 wickets. 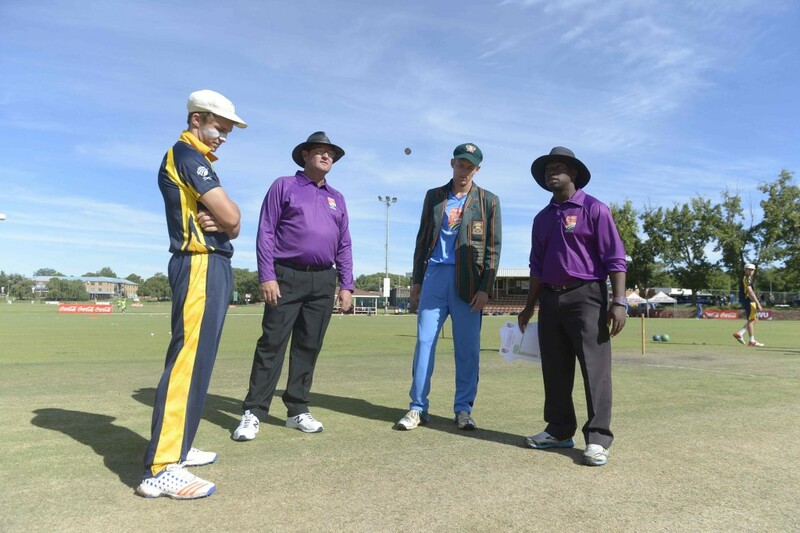 St Andrews Grahamstown 209-9 (Peter Jarvis 60, Murray Koster 41; Mike Horan 2-38, Matt Crampton 2-29). Maritzburg College 210-4 (Shaun Muirhead 46, Jiveshen Pillay 60, Matt Dicks 68*). 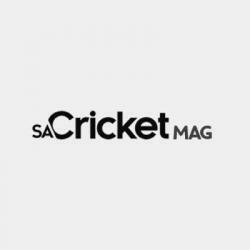 Maritzburg College won by 6 wickets. Hilton 177 (Angus Curtis 40, Gavin Morris 46; Brandon Leite 3-31). Jeppe 178-8 (Hayden Laing 41, Connor Parsons 30, Linda Ndlovu 52*; Eathan Bosch 2-30, Tim Copland 3-29, Matt Grieveson 2-27). Jeppe won by 2 wickets. 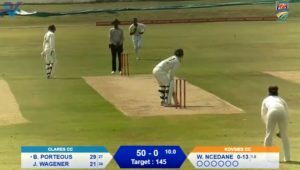 CSA TAP Invitational XI 333-9 (Dilivio Ridgard 120, Mudiwa Chanakira 99). Westlake 207 (Ethan Schaumkel 78, Ben Beecroft 46). CSA TAP Invitational XI won by 126 runs. Westville 209-9 (Dylan Beavan 76, Carl Jairaj 35; Paul Habib 2-45, Connor de Boer 2-32, Dylan Fiebirger 3-44). KES 210-4 (Conah MacFarlane 41*, Mitchell van Buuren 55*, Mohammed Mayer 56; Keagan Gibbon 2-28). KES won by 6 wickets. St Johns 318-8 (Nic Janos 94, Nicholas Halstead-Cleak 73, Fayadh Haffejee 48). Northwood 140 (Andile Mogkagane 45; Patrick Land 4-22, Matt Martingano 3-9). St Johns won by 178 runs. Michaelhouse 161-8 (Matt Armstrong 33; Chris Britz 3-16). PBHS 162-2 (Britz 56 not out, Donovan Ferreira 54 not out). PBHS won by 8 wickets. Affies (Dian Forrester 116, Heinrich Bischoff 54). DHS (Ruben Trumpelmann 4-48). Affies won by 154 runs. Kearsney 305-6 (James Stamatis 112, Brad Porteous 54, Jordan Graven 47; Kgaudise Molefe 2-64). Jeppe 83 (Mohammed Ahmad 34; Matt Lees 6-8). Kearsney won by 222 runs. Maritzburg College 226 (Damien Walden 57, Jiveshen Pillay 88, Mike Horan 35; Kyle Preece 5-55). PBHS 230-7 (Mike Shum 79, Chris Britz 37, Jason Krafft 37; Brad Sherwood 2-39). PBHS won by 3 wickets. St Stithians 353-3 (Matt Erasmus 168, Josh Richards 113, JP Bloem 38*). Westlake 152 (Ryan Schierhout 64, Ethan Schaurnkel 46; Craig Meier 4-11). St Stithians won by 201 runs. Westville 66-2 after 16 overs vs Hudson Park. Rain stopped play, match drawn. Affies 281-9 (Hermann Rolfes 153, Ruan van Tonder 40). Northwood 82 (Ruben Trumpelmann 2-17, Ruan de Swardt 3-10, Quinton Venter 2-10, Henco Barnard 2-13). Affies won by 199 runs. Glenwood 150 (Jared Paul 35, JJ Fourie 58*; Murray Blair 2-27). St Johns 141-9 (Matt Martingano 38*; Daelen Fynn 3-28, Jordan Grobbelaar 3-22, Marshal Takodza 2-39). Glenwood won by 9 runs. Grey College 180/8 (CP Klijnhans 70, Dylan Frances 35; Josh Brown 4-40, Cayden Porter 2-27). Clifton did not bat. Match drawn, rain. KES 248-6 (Mitchell van Buuren 92; Sean Gilson 3-30). Michaelhouse 177 (Matt Armstrong 68, James Redfern 47; Willie Wannenburg 3-21, Connor de Boer 3-12). KES won by 71 runs. Hilton 222/6 (Angus Curtis 46, Gareth Schreuder 79, Gavin Morris 50; Craig Stow 3-46). St Andrews 199-5 (Bruce Phillips 62 not out). Hilton won by 23 runs. St Johns 172-9 (Nic Janos 83, Jack Gnodde 41; Matt Lees 3-29). Kearsney 152-8 (Luke de Vlieg 37, Graham Hudson 36; Josh Warner 3-13). St Johns won by 20 runs. KES 101 (Trent Walker 3-19, Jacob Waitai 3-22). Westlake 105-2 (Ben Beecroft 53). Westlake won by 8 wickets. DHS 94 (Kenan Smith 4-25, Mzwandile Mkhize 2-18). CSA TAP Invitational XI 95-4. CSA TAP Invitational XI won by 6 wickets. Grey College 214-2 (CP Klijnhans 107, Raynard van Tonder 73 not out). Westville 113 (Keagan Gibbon 41; Philip Visser 3-11, Wian Mouton 3-15). Grey College won by 101 runs. Michaelhouse 123-8 (Kgaudise Molefe 4-15). Jeppe 121-5 (Mohammed Ahmad 54). Michaelhouse won by 2 runs. Pretoria Boys’ High 94-8 (Lafras van Vuuren 35). Hilton 96/4 (Gavin Morris 40 not out, Michael Sclanders 40). Hilton won by 6 wickets.